Comedy fans and policy wonks can bicker all they want about whether The Daily Show is better than The Colbert Report or vice versa, but doesn’t everyone watch the two as a package? The Daily Show is more direct about its political commentary, to the extent that in the waning days of the Bush administration, the show briefly became an unappealing gloat-fest, more interested in making the studio audience whoop than in making them think. But that was just a brief speed bump. In the first half of the ’00s, The Daily Show was a lifeline for people alienated by the direction the country was headed in, and over the past year, Jon Stewart has shown that he’s just as willing to grill Democrats in power for their hypocrisy and broken promises as he was willing to confront Republicans. Throughout, The Daily Show’s fattest target has been the 24-hour cable-news channels, which fill the air with inanity when nothing’s happening, and fail to do any real reporting when it matters. Similarly, The Colbert Report has been so on-point with its spoof of fact-averse cable-TV pundits that emerging media stars like Glenn Beck and Sarah Palin have often seemed like they’ve been taking notes. But the curious genius of The Colbert Report has been the way Stephen Colbert and his writers have developed their main character, giving him traits a lot like the real Colbert’s (a geeky affection for science and science-fiction; a Boy Scout’s faith in religion and patriotism) and mixing those with the absurdity of contemporary demagogues. Jon Stewart has a stable of reporters to help him out each night, but every Colbert Report episode is a tour-de-force solo performance by a man who seems to genuinely love entertaining people (and soaking up their adulation). It’s like some kind of miracle that The Daily Show and The Colbert Report fill so much airtime every year with relevant, incisive, frequently hilarious material. Decades from now, we may look back at their ’00s heyday the way people look back at Johnny Carson. Nitpick them if you must, but appreciate them while you do. Dave Chappelle’s eponymous sketch-comedy series established a tone of defiant irreverence with its first sketch, a notorious fan favorite about a black, blind white supremacist. More than just funny, Chappelle’s Show felt dangerous and relevant like no sketch show since the much-mythologized early days of Saturday Night Live. 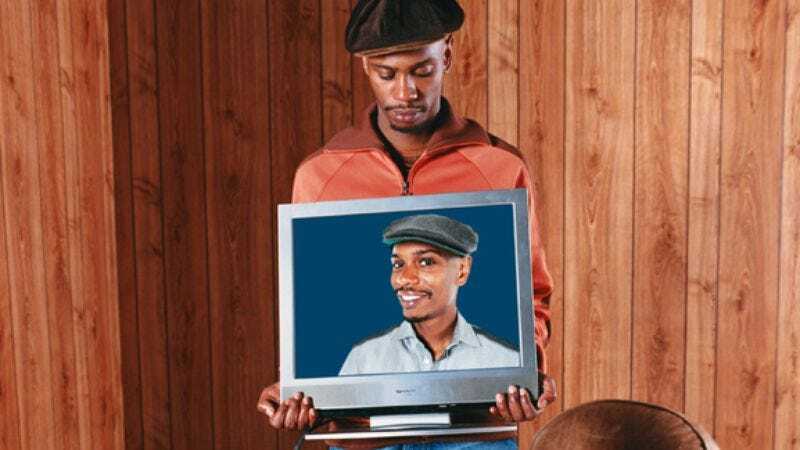 During its tumultuous two-and-a-half-year run, Chappelle’s Show was prime water-cooler fodder, the show everyone was talking about. Merciless racial satire made Chappelle a comic outlaw and critical darling, and the infectious joy he brought to his work—plus his virtuoso, jazz-like gift for improvisation—made the show a breakout hit and pop-culture phenomenon. Alas, Chappelle’s Show grew progressively darker and more uncompromising until it was too grim even for Chappelle, who famously fled the kingdom he’d created for reasons that are still mysterious. Chappelle’s Show made him a superstar. Walking away at the height of its popularity made him a legend. If nothing else, E!’s revamp of its Talk Soup franchise provides a valuable service by keeping viewers informed about what’s going on in the increasingly far-flung, soul-crushing universe of reality television. But what’s made The Soup a weekly must-watch is its refinement of the snarking-at-dopey-pop-culture format, aided by recurring gags, a breakneck pace, and the shaggy wit of host Joel McHale, who scores because, like Jon Stewart and Stephen Colbert, he projects a point of view much sharper than just “everything’s a joke.” The clips on The Soup are compellingly freakish, but the show would be as dispiriting as what it mocks if it didn’t put its content in context—and if it wasn’t so funny. Before Sacha Baron Cohen hit it big with the movies Borat and Brüno, he honed his characters on Da Ali G Show, a quasi talk show that ran for six episodes on Channel 4 in 2000, and 12 more on HBO in 2003 and 2004. Confronting unwitting interview subjects with cloddish fake “journalists,” Cohen aimed to expose innate prejudices and to poke fun of how social niceties lead people to suffer fools longer than any rational person should. The jury is still split on whether Cohen’s comedy really has any redeeming social value, but few entertainers in the ’00s have been as adept at gut-busting shock-humor. Even before David Letterman’s backstage romances became front-page headlines, The Late Show had gone through multiple stretches in the ’00s where it was more culturally significant than nearly any other late-night joke-and-chat. Between the ratings wars with Leno, the heart surgery, the post-9/11 return, fatherhood, the incessant mockery of President Bush, the feuds with John McCain and Sarah Palin, and countless incidents of eccentric guest behavior, Letterman spent the ’00s repositioning his show as the one late-night program where something legendary could happen on any given night. More significantly, Letterman has been busy all decade remaking himself as the true heir to Jack Paar rather than Johnny Carson. Never an ace joke-teller, sketch-host, or guest-questioner, Letterman (like Paar) excels at sitting in front of a camera and telling long, winding shaggy-dog stories. As he’s gotten older, Letterman has become more confident in those strengths, and has been increasingly willing to give over almost a quarter of his show to some of the most sublime time-wasting babble in the history of the medium. In the wake of Jay Leno’s departure from The Tonight Show, Letterman’s ratings are back up, but it’s a shame that his success is coming at the expense of Conan O’Brien, who doesn’t deserve the pummeling he’s been getting. Part of the problem is that O’Brien’s Tonight Show hasn’t yet found the stride that Late Night With Conan O’Brien hit by the end of its run. As brilliant as Letterman can be, he has a prickliness that makes him hard to warm up to. O’Brien, by contrast, revels in silliness, and has provided a welcoming space for some of the best young comics of this era to show their stuff. He’s the rare late-night companion that people might actually want to hang out with after the credits roll.